South African surgeon Christiaan Barnard announced that he had successfully performed the first human-to-human heart transplant in the early hours of December 3, 1967. The pioneering operation, compared to the first Moon landing in its significance for humankind, was performed at Groote Schuur Hospital in Cape Town and saw Barnard take the heart of 25-year-old Denise Darvall, who was left brain-dead after being hit by a car, and transplant it to 53-year-old Louis Washkansky. Fifty years on, how has medicine evolved and what is the future of this life-saving procedure? A total of over 63,000 patients were on organs' waiting lists on 31 December 2013 in the European Union, 3,450 of which were waiting for a new heart. These figures reflect "the tip of the iceberg," according to the European Commission and "reflect an impressive reality even if they cover data from various transplant systems with different national policies and as well as evolving dynamics". The management of waiting lists is a national competence in the EU, as is whether member states wish to adopt an "opt-in" consent process (where citizens choose to go on a donor list) or an "opt-out" system (organ donation is the default option at the time of death). In the UK for example, where there is currently an opt-in process, the waiting list for heart transplants has nearly trebled in ten years, according to charity the British Heart Foundation. In the 60s, Washkansky was given strong anti-rejection drugs to suppress his immune system and keep his body from rejecting the heart. He lived for 18 days with a functioning heart until he died of pneumonia. Since then, anti-rejection drugs have been developed making transplantation more viable. The risk of rejection is still present, but Magdi Yacoub, professor of heart surgery at Imperial College London, believes advances in preventing rejection are on the horizon. 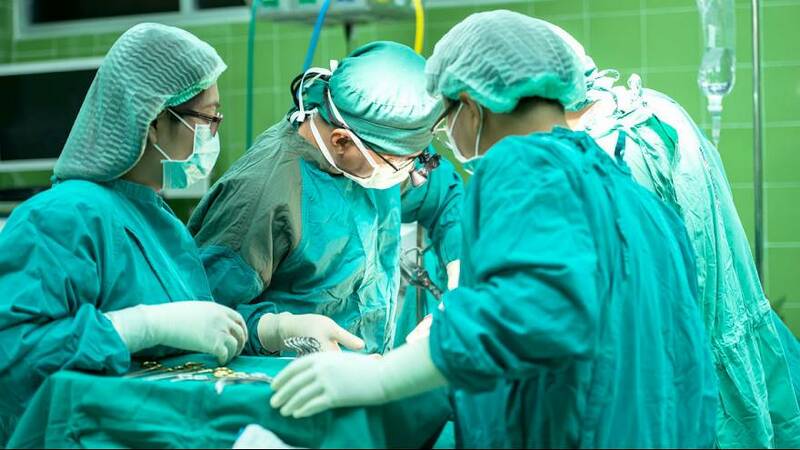 At a conference in tribute to the first heart transplant, Professor Bezuidenhout from the University of Cape Town’s cardiovascular research unit said there needed to be solutions for the millions of people who are not benefiting from cardiac surgery due to access and financial issues. Bezuidenhout believes co-operation and input are required from governments, NGOs, academia, business, policymakers and healthcare workers themselves to provide cardiovascular care in areas that need it. "It’s not acceptable that in the US you have one cardiac centre for every 120 000 people, while in Mozambique two cardiac centres service 27 million people and are situated two kilometres apart," added Heather Coombes, CEO of University of Cape Town start-up company Strait Access Technologies. Transplants: soon a thing of the past? With the above issues still proving major challenges to medical staff 50 years on, some experts, such as internationally renowned heart surgeon Professor Stephen Westaby, believe human-to-human heart transplants may become "almost irrelevant". Now retired from John Radcliffe Hospital in Oxford, Westaby developed artificial heart pumps for almost a decade and believes that, when combined with stem-cell injections to regenerate diseased heart muscle, this method could provide a new alternative to transplants with fewer risks. The double procedure has already been used on a terminally-ill, 52-year-old man in northern Greece who is alive six years on. “Heart transplants are terrific but a mechanical heart pump along with stem cells is the way forward and I’m confident that within a few years we will see more people being fitted with these pumps than those having transplants,” said Westaby. On the other hand, some of his peers disagree, arguing that "biology is best". "Entirely mechanical hearts will never be a replacement (for human ones),” said Magdi Yacoub. He did, however, acknowledge the limitations of human-to-human transplants: "The challenges include scarcity of donor organs, inefficiency and complications of currently available immune-suppressing drugs, resulting in complications such as infection, risk of cancer and chronic renal failure. The good news is none of these challenges is insuperable."